These unbuilt concepts and prototypes won over the AZ Awards jury and readers with their ingenuity and originality. Jurgis Gecys, a fine arts graduate student in Vienna, envisions stunning sculptural interventions for the Curonian Spit. Small but mighty, Enough House packs living, eating and sleeping quarters into a mere 65 square metres. 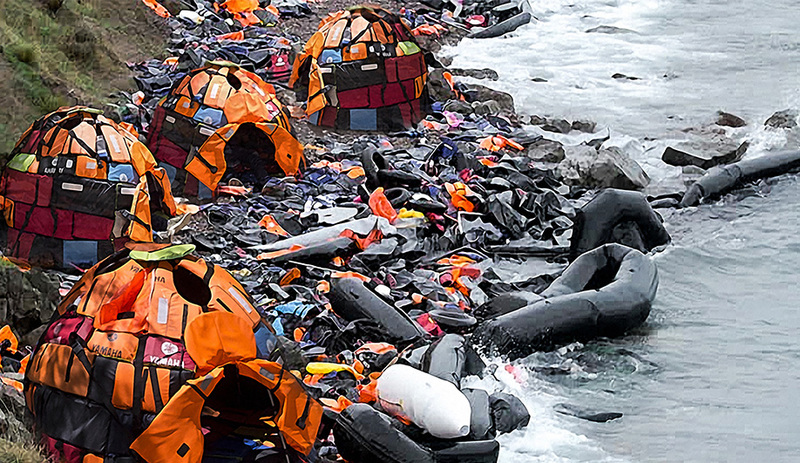 Tens of thousands of life jackets left on Greek shores by Syrian refugees have become a building material for one 15-year-old student who is determined to find ways to turn them into makeshift shelters. From David Adjaye’s National Museum of African American History and Culture to Coop Himmelb(l)au’s museum of contemporary art in Shenzhen, here are the most exciting architecture projects worldwide that are now nearing completion. German designer Carina Deuschl’s Xtend, shown in Cologne and Milan, enters uncharted waters. For the December 2015 edition of Unbuilt, Design Miami’s architecture installation, Harvard GSD students created a pavilion out of miniature models. Toronto architecture firm Lateral Office and CS Design created a seesaw set that lit up the annual Luminothérapie festival in Montreal’s Place des Festivals last January. It’s part of Tiny Landmarks, our look at six projects modest in size and budget but immeasurable in impact.